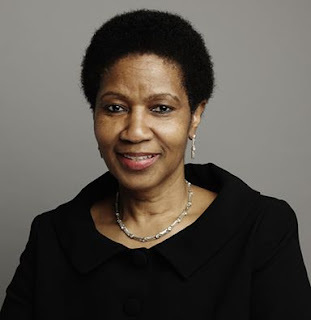 Port Moresby – Executive Director for UN Women Dr. Phumzile Mlambo-Ngcuka, who is also the UN Under Secretary General arrived today in Papua New Guinea as part of her travels to mark the 16 Days of Activism against Gender-Based Violence. This would be the Executive Director’s first visit to the country. Her four-day visit will focus on strengthening collaboration with the Papua New Guinea government, the Autonomous Region of Bougainville and civil society representatives, to accelerate progress on gender equality and women’s empowerment in the country, with an emphasis on ending violence against women and girls. Papua New Guinea ranks low in many global indicators on advancing gender equality and violence against women and girls is widespread, including in public spaces. A scoping study conducted by UN Women in 2014 found that more than 90 per cent of women and girls experienced some form of violence when accessing public transport. During her visit, Ms. Mlambo-Ngcuka will have meetings with National Capital District Governor Hon. Powes Parkop and the four women MPs from Autonomous Region of Bougainville. She will also meet with several civil society leaders at an event hosted by the Australian High Commission, to discuss a range of issues, including ending violence against women. Ms. Mlambo-Ngcuka will participate in the launch of the new “Meri Seif Bus”—a bus exclusively for women and children—provided as part of UN Women’s “Safe Public Transport for Women and Children Programme” at Gerehu Market. The buses provide, with tracking systems and uniformed bus crews, safe public transport for women and a space to discuss issues affecting their safety and mobility. Other events include her as the guest speaker at the joint Annual UN Women and UN AIDS Media Awards for Excellence in reporting gender-based violence and HIV and AIDS and the Sanap Wantaim (Stand Together) concert in support of the UNiTE campaign’s Orange the World initiative, hosted by Governor Parkop. Ms. Mlambo-Ngcuka will also attend the final of the FIFA U-20 Women’s World Cup, which carries ending violence against women and girls as its official theme.